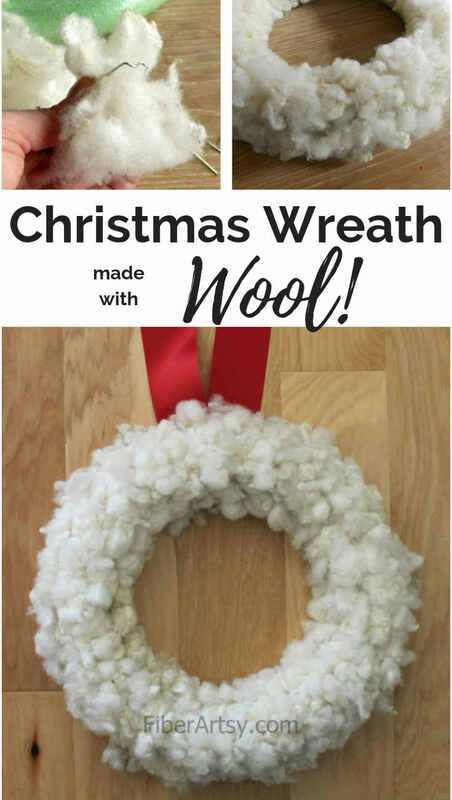 Make Your Own Christmas Wreath with Wool. 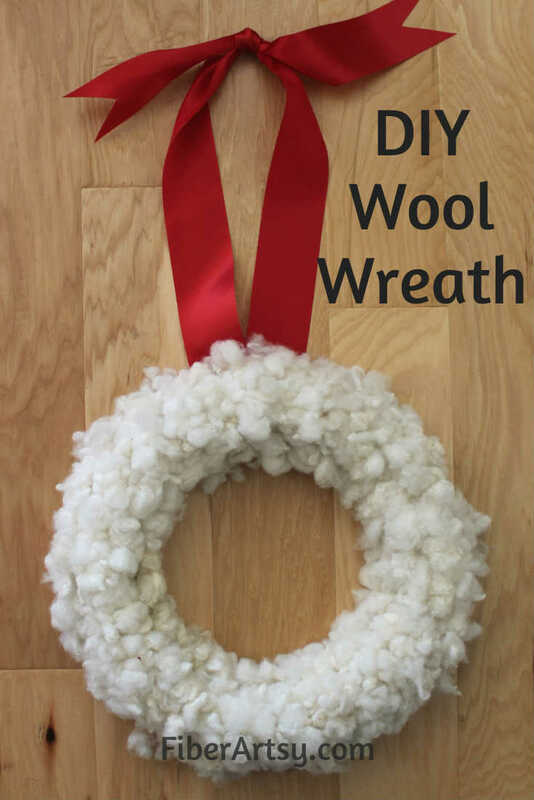 Learn how to make a lovely white Christmas Wreath with Sheep Wool or Alpaca Fiber. No knitting or crochet required! Christmas is just around the corner but you still have time to make your own Christmas Wreath! This is a super easy and quick craft project that you can easily complete in an evening. I didn’t make my homemade Christmas wreath in one sitting, but it only took about 2-3 hours total to finish attaching all of the sheep wool to the wreath frame. No knitting, crochet or other special skills required. Anybody can craft this gorgeous wreath. * I used appr. 5 ounces of 4″- 5″ long sheep wool locks for my wreath. 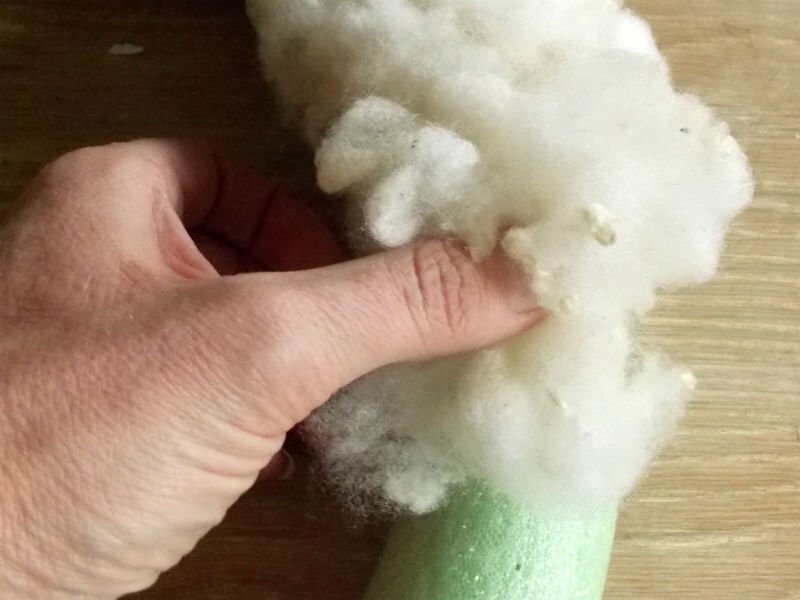 Make sure to buy more wool than you think you’ll need. 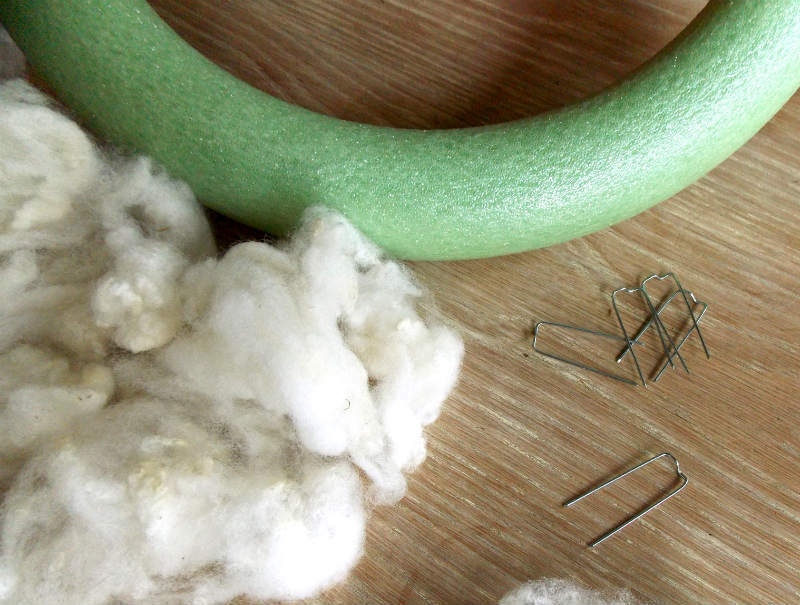 It’s very difficult to match different types of wool. This does not have to be super fine, premium fiber! 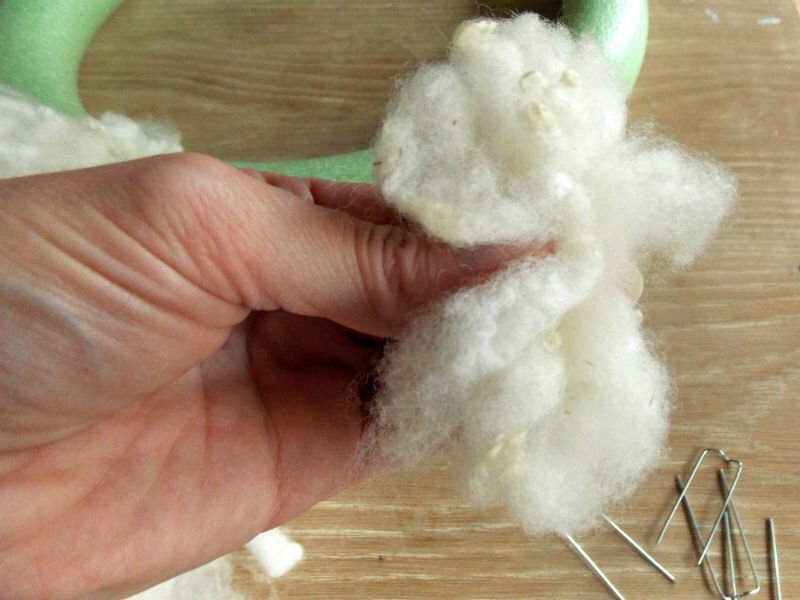 The wool I used is certainly not the best and this is a good way to use up some of the coarser fiber in your stash. 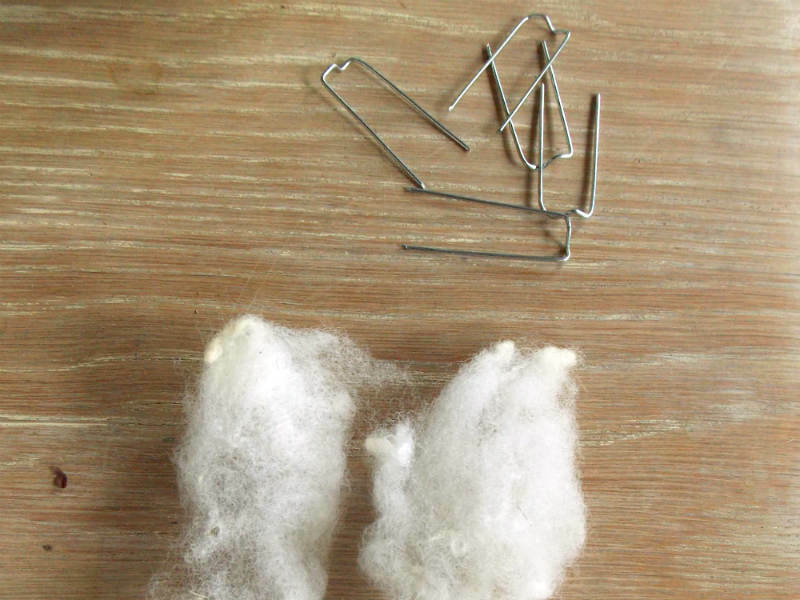 Pick up a few wool locks and open or fluff them up, if necessary. 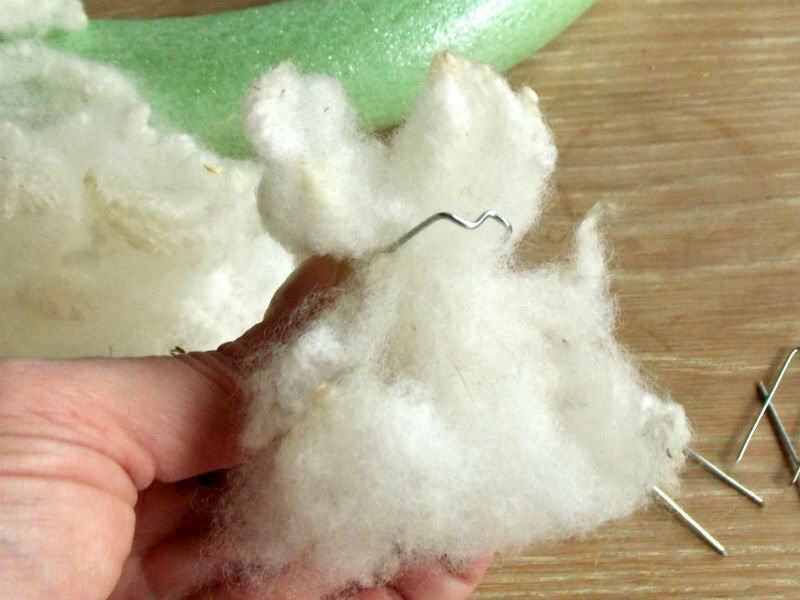 Take one of the floral craft pins and put the wool thru the pin so the pin top rests in the middle of the wool. 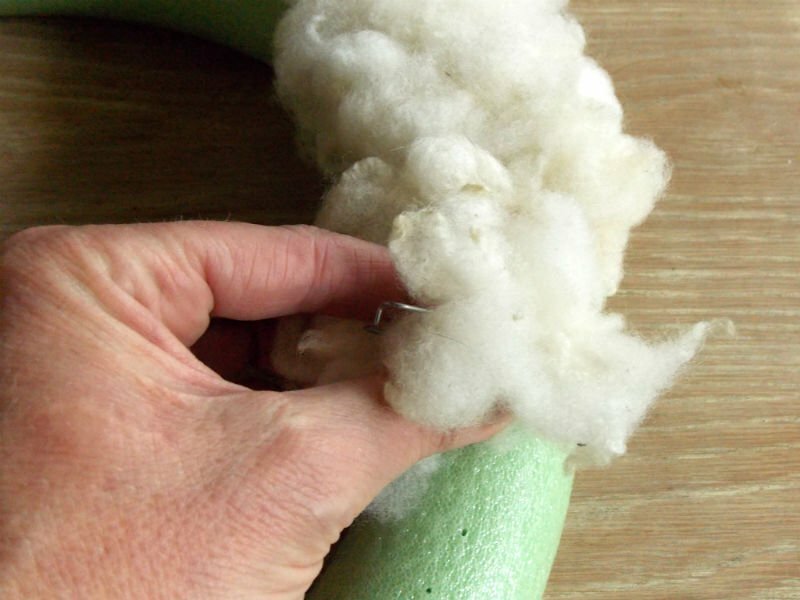 Insert the pin (with the wool) into the top of the foam wreath. Repeat, placing wool & pins all around the top of the wreath. Once the top of the wreath is covered in wool, begin pinning wool around the outside of the wreath. Then pin wool to the inside of the wreath. 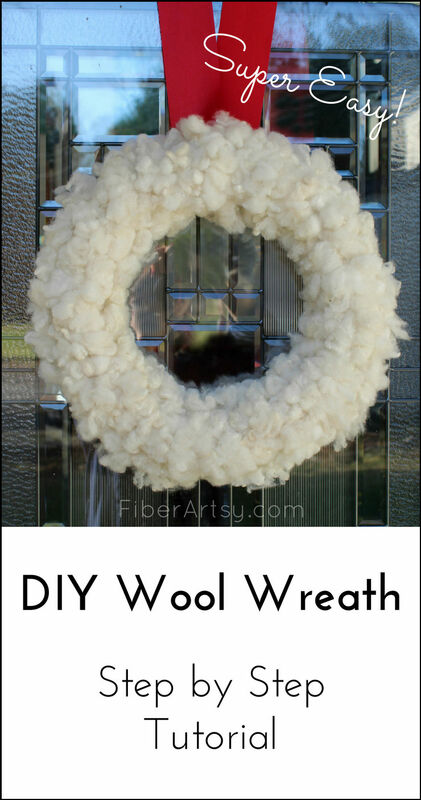 How much wool you use per pin depends on how full you want your wreath to look. Obviously, the more wool you use, the bigger/fuller the final wreath. You’ll start to get a feel for how much to use as you go along. 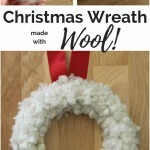 If you want, you can add wool to the back of the wreath, but it’s not necessary and may cause your wreath to hang funny. I left the back blank. All that’s left now is to attach a pretty ribbon to hang your wreath. Make sure to store your homemade Christmas wreath in an open, airy place. I also don’t recommend placing it in a plastic bag. 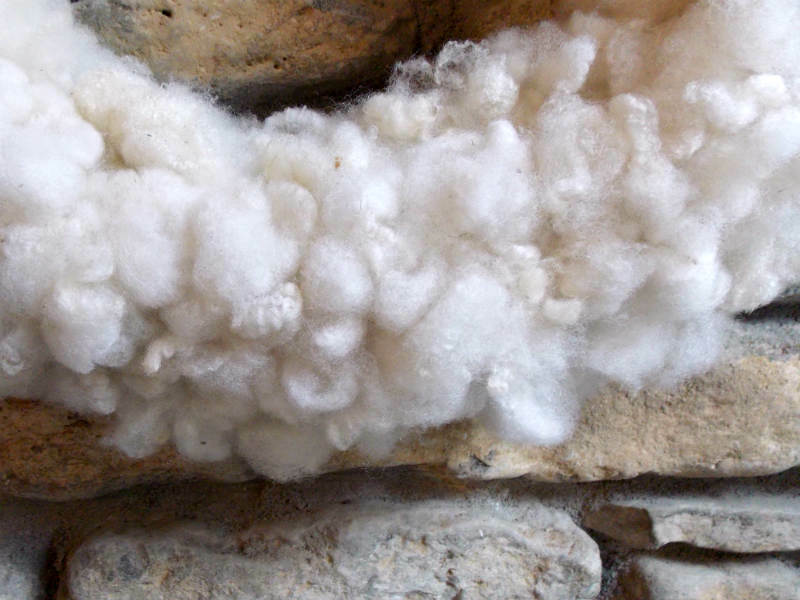 Wool moths tend to like dark closets. There are lots of fun ways to decorate your homemade Christmas wreath. You can add a festive bow or little Christmas Ornaments. 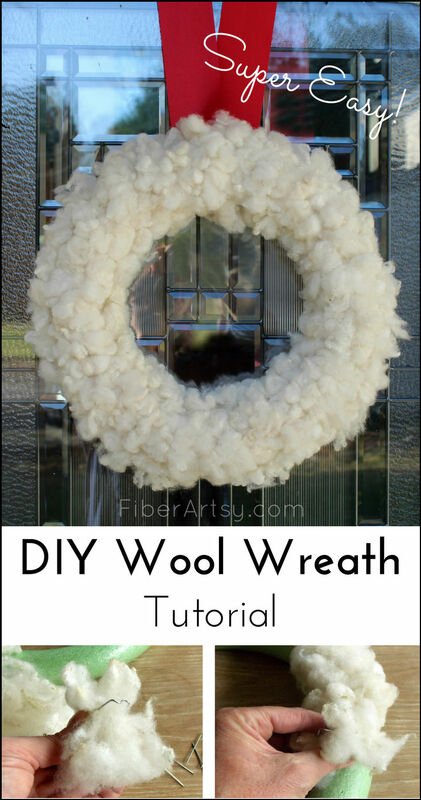 If the wool wreath is white, a sprig of fresh Holiday greenery would look great, too. 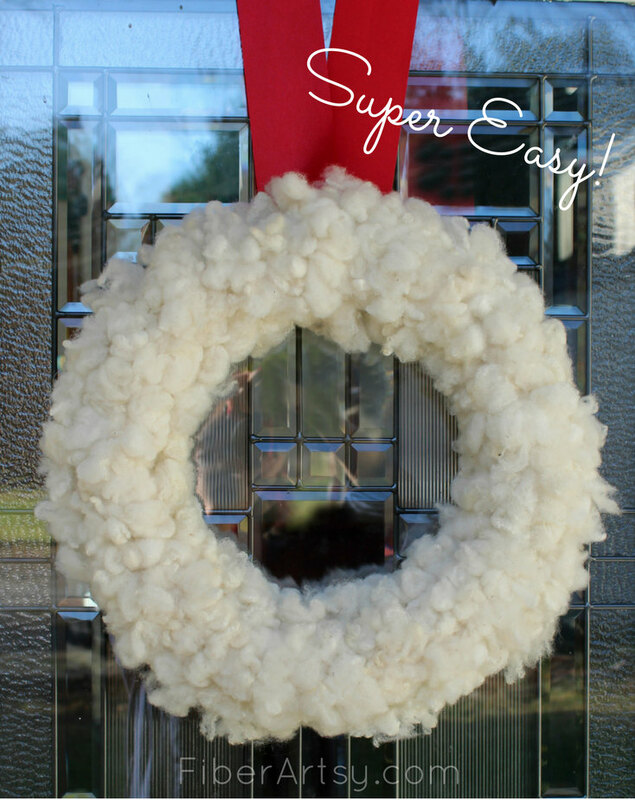 Personally, I like the minimal look of my white wool wreath. Here’s a fun idea for a DIY Yarn Wreath made with thick, chunky yarn instead of wool. For more Christmas crafting fun, here’s how you can make fun Christmas Ornaments with Alcohol Inks.